Maxival® is a technologically advanced process carried out on conventional stainless steels such as Type 304 and 318 that greatly improves machinability without jeopardising mechanical properties or resistance to corrosion. Maxival is the Valbruna trademark for what is commonly known in the Australian market as improved machining or free machining stainless steel. Maxival improves productivity and tooling life in the machine shop. Valbruna Australia producers of all commercially available grades of stainless steel.Austenitic, Martensitic, Ferritic and Precipitation hardened. Valbruna prides themselves with a product of the finest quality stainless steels in the world, to the strictest of production protocols. Valbruna stocks stainless steel angle, round, square, flat, wire at both our Brisbane and Melbourne warehouses. 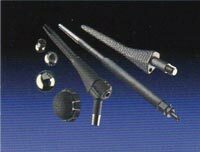 Reval is the Valbruna trademark for the range of stainless reinforcing bar we produce. 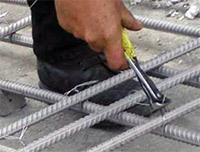 Stainless reinforcing provides a permanent solution to concrete decay, structure safety and continuous maintenance. Valbruna are one of the largest producers of stainless rebar in the world, and can also offer full processing on dedicated equipment to service your requirements. Valbruna speclizies in the production of Ti –Gr 1, Ti – Gr 2, Ti – Gr 4, Ti – Gr 5 and Ti grade 5 eli. 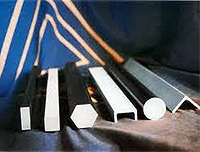 Titanium’s unique chemical and mechanical composition lead it to be used in a vast range of industries. Titanium is utilized in aerospace, chemical processing and also medical devices. 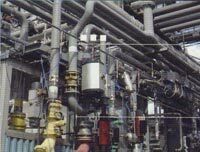 Valbruna Australia identifies that many grades of stainless steel and nickel alloys are used extensively in oil and gas applications. This is thanks to their high strength and excellent corrosion resistance, in chloride containing environments or were cracking is a problem. Valbruna has the flexibility to manufacture the right alloy for your application.